End of an era, the old F-16 was replaced by the new F-35. After about 40 years of honored service at Hill AFB, the Vipers left the air base to be assigned to other locations, primarily Holloman AFB, New Mexico. 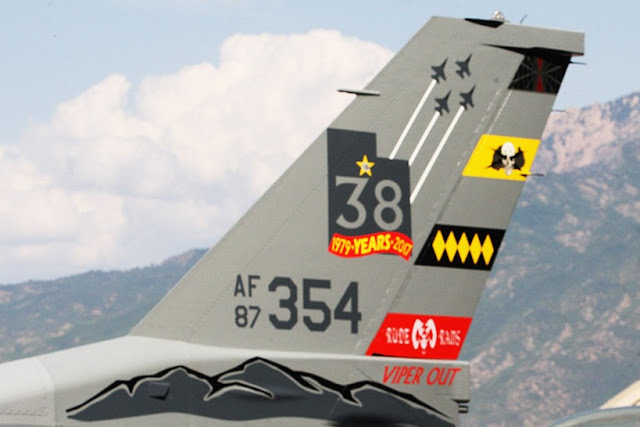 A special color F-16 with a 'Viper Out' commemorative tail flash flies alongside flagships from the 388th and 419th Fighter Wings was painted for the occasion. The farwell ceremony was held on Sept. 8, 2017. The 388th Tactical Fighter Wing at Hill was the first unit in the U.S. Air Force to receive a combat operational F-16 in January 1979, followed by Hill’s 419 TFW in 1983. 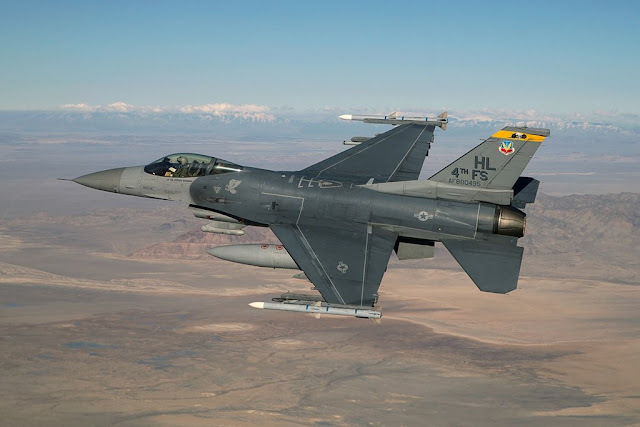 Hill’s F-16 jets have supported every military operation since sice their arrival to date, including Operation Desert Storm, Operations Northern Watch and Southern Watch, Operation Iraqi Freedom, Operation Enduring Freedom and Operations Freedom Sentinel and Inherent Resolve. The commanders of the two Fighter Squadrons said a part of their heart left with the F-16, but are also excited to start a new era marked by the modern JSF. The 34th Fighter Squadron of the 388th Fighter Wing is the service’s first operational F-35A Squadron and in recent months it has gained some milestones. 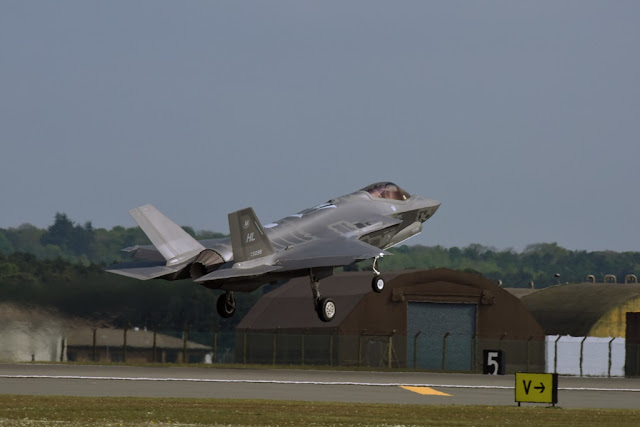 It deployed the JSF to Red Flag exercise for the first time on Feb. 2017 and also completed the first F-35A training deployment to Europe on May 2017. Hill AFB will be home to three operational ready Fighter Squadrons with 78 F-35 Lightning IIs by the close of 2019.